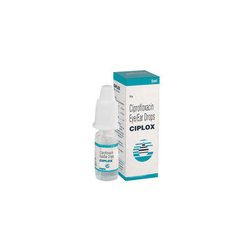 Our product range includes a wide range of ciplox eye ointment. We are a trusted name in supplying, wholesaling and exporting Ciplox Eye Ointment. Processed using high grade ingredients at our vendors' premises, this ointment is used to treat some types of eye infections. Clients can avail our highly effective range at market leading rates.